If you have virtual assistants working for you, Anyleads is ready to use with rights and limited access to outsource our features by people outside your company. 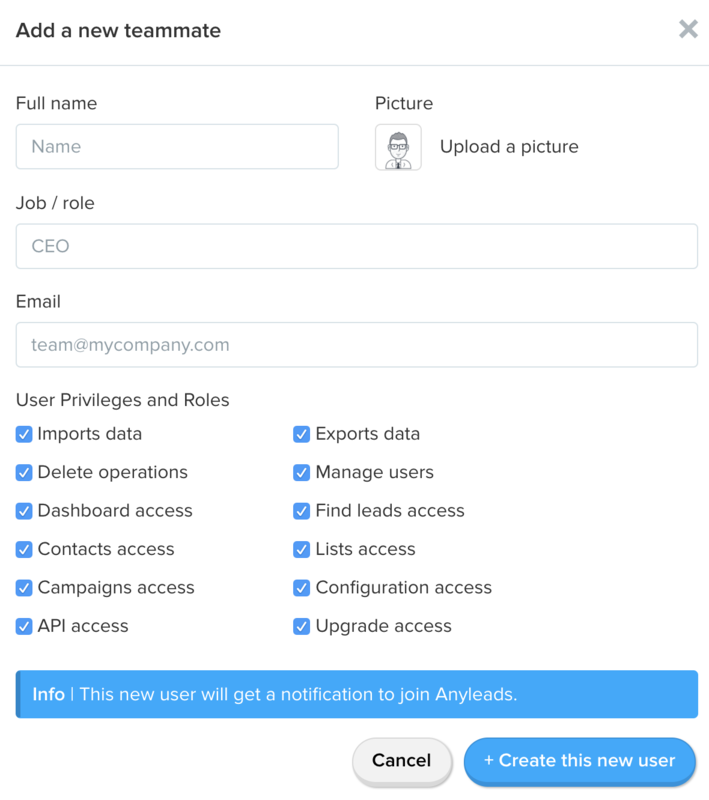 You can add users at any time in your Anyleads dashboard. It's free and unlimited. Once you have added your users they are ready to use the account of your company. You can add unlimited users to give access to your Anyleads account. No limit and not cost / user. It's all unlimited and included in your Unlimited plan. If you are outsourcing your lead generation you can add users and give them rights in order to limit the access to your dashboard. Simply check which rights you want to attribute to your users.